RIG VEDA SAMHITA: Mandala – 1 (Part One), Suktas 1-50, (Text in Devanagari, Translation and Notes), by R.L. Kashyap; Saksi, Published in collaboration with ASR, Melkote; Sri Aurobindo Kapali Sastry Institute of Vedic Culture, Bangalore, India, 2009. THE RGVEDA, 2 Volumes, (interpreted & translated with a review of important interpretations ancient and modern) by Ram Gopal; (Vol. I contains Mandala I, 1-121; Vol.II Mandala I, 122-191 and Mandala II) Vishveshvaranand Vedic Research Institute, Sadhu Ashram, Hoshiarpur, 2003. WISDOM of the ANCIENT SEERS, Mantras of the Rig Veda, by David Frawley; Motilal Banarsidass Publishers Pvt. Ltd, Delhi, 1994, 2001. The HOLY VEDAS, A Golden Treasury, Edited & prepared by Pandit Satyakam Vidyalankar; Clarion Books, New Delhi, 1983, 2010. 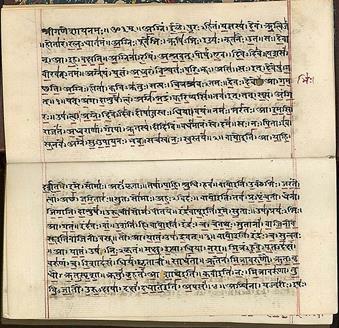 RG BHASYAM, Sri Anandatirtha Bhagavadpadacarya Viracitam, Sri Madhvacarya’s commentary on the First Forty Suktams of the Rig Veda, English rendering by K. Narasimhan; Dvaita Vedanta Studies & Research Foundation, 2008. The RGVEDA, Mandala III, A Critical Study of the Sayana Bhasya and Other Interpretations of the Rgveda (3.1.1 to 3.7.3), by Dr. Siddh Nath Shukla; Sharada Publishing House, Delhi, 2001. Rig Vedic Suktas Asya Vamiya Suktam, A Contemplative Study Translated by Swami Amritananda; Sri Ramakrishna Math, Mylapore, Chennai, 2003. SAYANA’S METHODOLOGY IN INTREPRETING THE RGVEDA, by Dr. Indrani Kar, M.A., Ph.D., Reader & Head of the Department of Sanskrit, Scottish Church College, Kolkata; Debasish Bhattacharjee, Sanskrit Pustak Bhandar, Kolkata, 2005. RGVEDA-DARSANA, Volume Seven, Development of RGVedic Thought, Part One, by S.K. Ramachandra Rao; Kalpatharu Reseach Academy Publication, 2001. RGVEDA-DARSANA, Development of RGVedic Thought, Volume Eight (Part Two), by S.K. Ramachandra Rao; Kalpatharu Reseach Academy Publication, 2001. RGVEDA-DARSANA, Volume Eleven, RGARTHASARA, by S.K. Ramachandra Rao; Kalpatharu Reseach Academy Publication, 2002. RGVEDA-DARSANA, Volume Thirteen, THE FIRST HYMN TO AGNI, by S.K. Ramachandra Rao; Kalpatharu Reseach Academy Publication, 2004. RGVEDA-DARSANA, Sayana’s Rgbhashya-Bhumik, Volume Fourteen, by S.K. Ramachandra Rao; Kalpatharu Reseach Academy Publication, 2004. RGVEDA-DARSANA, Purusha – Sukta, Volume Four, by S.K. Ramachandra Rao; Kalpatharu Reseach Academy Publication, 1999. RGVEDA-DARSANA, VISHNU-SUKTANI (Part One), Volume Five, by S.K. Ramachandra Rao; Kalpatharu Reseach Academy Publication, 1999. RGVEDA-DARSANA, VISHNU-SUKTANI (Part Two), Volume Six, by S.K. Ramachandra Rao; Kalpatharu Reseach Academy Publication, 2000. RGVEDA-DARSANA, VISHNU-SUKTANI (Part Three), Volume Nine, by S.K. Ramachandra Rao; Kalpatharu Reseach Academy Publication, 2001. MAYA in PHYSICS, by N.C. Panda; Motilal Banarsidass Publishers, Delhi, 1991, 2005. THE VIBRATING UNIVERSE, by N.C. Panda; Motilal Banarsidass Publishers, Delhi, 1995, 2000. The Astronomical Code of the Rgveda, by Subhash Kak; Munishiram Manoharlal Publishers Pvt. Ltd., New Delhi, 2000. The Celestial Key to the Vedas by B.G. Sidharth; Inner Traditions, 1999. The Arctic Home in the Vedas, by Lokmanya Bal Gangadhar Tilak, Arktos Media Ltd. , London, 2011. Indra-Vrtra Myth and Tectonic Upheavals, by P.V. Pathak; Bharatiya Vidya Bhavan, Kulapati K.M. Munshi Marg, Mumbai, 2001. TREATMENT OF NATURE IN THE RIGVEDA, Dr. Braj Bihari Chaubey; Katyan Vedic Sahitya Sadan, Hoshiarpur, India, 1970. VISVAMITRA, Life & Vision of Vedic Seers, Vol.1, by Professor Satya Prakash Singh; Standard Publishers (India), New Delhi, 2003. DIRGHATAMAS, Life & Vision of Vedic Seers, Vol.2, by Professor Satya Prakash Singh; Standard Publishers (India), New Delhi, 2006. DADHYAN ATHARVANA, Life & Vision of Vedic Seers, Vol.3, by Professor Satya Prakash Singh; Standard Publishers (India), New Delhi, 2013. KAVSA AILUSA, Life & Vision of Vedic Seers, Vol,1, by Professor Satya Prakash Singh; Standard Publishers (India), New Delhi, 2013. BIOGRAPHICAL DICTIONARY OF ANCIENT INDIAN RISHIS, 2 Illustrated Volumes, (Based on Vedas, Upanishads, Epics and Puranas), by Shantil Nagar; Akshaya Prakashan, New Delhi, 2012. RISIKAS (Women Rishis) OF THE RIG VEDA, by Swamini Atmaprajnananda Saraswati; DK Printworld, New Delhi, 2013. Visionaries of Wisdom: Rishis & Rishikas, Life Works and Teachings of the Earliest Exponents of Hinduism, by Prof. Shirkant Prasoon; Hindoology Books, Pustak Mahal, Delhi, 2009. UNVEILING THE LIGHT IN THE VEDA, T.V. Kapali Sastry, Compiled from Siddhanjnana & Other Essays on the Veda, by Dr. R.L. Kashyap; Sri Satguru Publications, Delhi, India, 2001. SECRET of the VEDA, by Sri Aurobindo (written between 1914-20); Lotus Press, Twin Lakes, WI; Sri Aurobindo Ashram Trust, Pondicherry India, 1995. NIGAMAKALPATARU (DR. GAUTAM PATEL FELICITATION VOLUME ON VEDIC STUDIES), Part I: English-Sanskrit; General Editor – Shri Kireet Joshi; Sanskrit Seva Samiti, Ahmedabad. THE NOMENCLATURE OF THE VEDAS, by Swamini Atmaprajnananda Saraswati; DK Printworld, 2012. Understanding the Vedas – A collection of 26 research articles by eminent scholars; editor Dr. Mrs. Bhagyalata A. Pataskar; Vaidika Samsodhana Mandala, Pune, India, 2006. RUDRA in the RG-VEDA, by R.C. Hazra, M.A., Ph.D., D.Litt., Edited by S.P. Das Gupta in collaboration with Manabendu Banerjee; Sanskrit Pustak Bhandar, Kolkata, 2003. Meditations through the Rg Veda, Four Dimensional Man, by Antonio T. de Nicolas; Authors Choice Press, iUniverse, Lincoln, NE., 1976, 2003. VEDIC HERMENEUTICS, by K. Satchidananda Murty; Motilal Banarsidass, Delhi, 1993. POETRY AND SPECULATION OF THE RG VEDA, BY WILLARD JOHNSON; University of California Press, CA. 1980. GODS, SAGES and KINGS, Vedic Secrets of Ancient Civilization, by David Frawley; Passage Press, Morison Publishing, Salt Lake City, Utah, 1991. IN SEARCH OF THE CRADLE OF CIVILIZATION, by Georg Feuerstein, Subhash Kak & David Frawley; Motilal Banarsidass, Delhi, 1995, 2008. The Rig Veda and the History of India, by David Frawley; Aditya Prakashan, New Delhi, 2001, 2002. THE RIGVEDA, A Historical Analysis, by Shrikant G. Talageri; Aditya Prakashan, New Delhi, 2000, 2004. The Aryan Invasion Theory, A Reappraisal, by Shrikant Talageri, Foreward by S.R. Rao; Aditya Prakashan, New Delhi, 1993, 2003. The Rigveda and The Avesta, The Final Evidence, by Shrikant G. Talageri; Aditya Prakashan, New Delhi, 2008. THE NIGHANTU and THE NIRUKTA of Sri Yaskacarya, The Oldest Indian Treatise on Etymolgy, Philology and Semantics; Lakshman Sarup; Motilal Banarsidass Publishers, Delhi,1967, 2009. THE SAMAVEDA, Sanskrit Text with English Translation, by Devi Chand; Munishiram Manoharlal Publishers Pvt. Ltd., New Delhi, 2004. THE ATHARVAVEDA, Sanskrit Text with English Translation, by Devi Chand; Munishiram Manoharlal Publishers Pvt. Ltd., New Delhi, 2002. THE YAJURVEDA, Sanskrit Text with English Translation, by Devi Chand; Munishiram Manoharlal Publishers Pvt. Ltd., New Delhi, 2000. The Civilized Demons: The Harappans in Rig Veda; Abhinav Publications, New Delhi, 1977. The Aryas: Facts Without Fancy and Fiction; Abhinav Publications; New Delhi, 1996. The Language of Harappans: From Akkadian to Sanskrit; Abhinav Publications, New Delhi, 1997. Unsealing the Indus Script, Anatomy of Its Decipherment; Atlantic Publishers & Distributors, New Delhi, 2010.